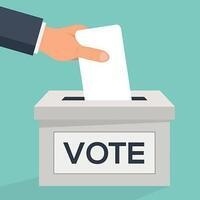 Boulder Campus Staff Council Elections - Please Vote! Staff Council Elections open April 4th! Please Vote! Every Spring BCSC conducts our election to find individuals to represent the interests of our campus' staff by advocating on a variety of issues, proposing policies, serving in an advisory role to administration, and facilitating a variety of events to bring collaborative opportunities to the campus. Each ballot is tied to your email and only yours, so please keep an eye out and remember to vote!